Advanced Oral Hygiene is a combination of two bacterial strains that target most of the aspects of oral health. The blend contains two patented microorganisms from two different manufacturers, GanedenBC30, (Bacillus coagulans GBI-30, 6086), and Streptococcus salivarius K12. 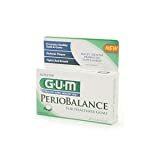 GUM Periobalance is the only North American product containing Prodentis. Prodentis is a probiotic developed by BioGaia, a Swedish health care company focusing on biotechnology. Dental probiotics are a proven treatment for preventing and treating oral infections, including dental caries, periodontal disease, and halitosis. They work best as a preventative method, and as an adjuvant for the mainstream dental treatments. Probiotics are the safest and noninvasive treatment for dental health. EvoraPlus is a probiotic supplement to improve oral health. EvoraPlus is based on a probiotic blend of three strains, named Probiora 3. Probiora 3 contains freeze dried bacteria, that are in a dormant state, and that will activate once they come in contact with our saliva. The blend is formulated with Streptococcus uberis (S. uberis KJ2), Streptococcus oralis (S. oralis KJ3), and Streptococcus rattus (S. rattus JH145), three naturally occurring bacteria strains, cohabitant of our mouth. The strains were selected for their ability to fight pathogenic bacteria, by changing the chemical balance in our mouth. This chemical composition promotes the development of good bacteria, and inhibits pathogens. Now Foods are known for their effective supplements at decent prices. Oralbiotic Blis K12 make no difference, it is a branded version of the BLIS Technologies probiotic strain. It contains 1 Billion CFU per lozenge, and some sugar replacements to make it palatable. Also contains xylitol, which is another germ fighting compound. 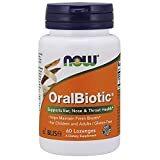 The supplement has great ratings on Amazon, and is one of the best selling oral health supplement. Bad breath can be cured with probiotics, if the cause of the condition is pathogen bacteria. There are several probiotic strains that are effectively fight opportunistic microorganisms, and there are various products on the market. 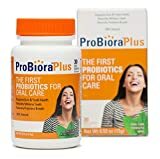 The probiotic approach in oral health is relatively new, and it is on of the safest treatments for various issues, such as halitosis, dental caries, gums disease.